Lycett Style Sprung Saddle. This is the smaller type, supplied complete with springs. 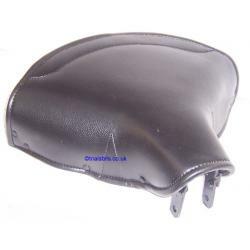 The seat is approximately 31cm from back to front and 35cm at its widest point. The mounting holes for the springs at the rea of the seat are 20cm centre to centre. Please note the springs supplied with this seat are as in the pictures, and they differ from the springs supplied with the larger version. O-Ring Pack with 225 pcs.